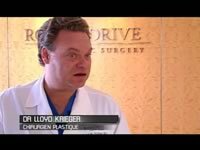 Access Hollywood features our Medical Director discussing Rodeo Drive’s Plastic Surgery’s approach to celebrities, procedures for men, and the latest trends in plastic surgery. CNBC profiles some of our innovations in plastic surgery, including our plastic surgery gift card. NPR’s Marketplace program sends its correspondent to our office for a consultation with Dr. Krieger. 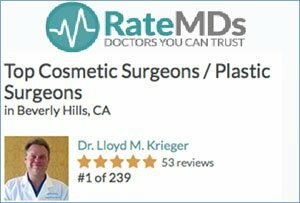 The KTLA Morning Show comes to our operating rooms to highlight Plastic Surgery for Men – one of our specialties. Télévision Française 1 (France’s most popular TV network) interviews our Medical Director about our celebrity clientele and takes a tour of our hidden back entrance – far from prying eyes of paparazzi. This morning show interviews our medical director and two patients about The Rodeo Drive Mommy Makeover. 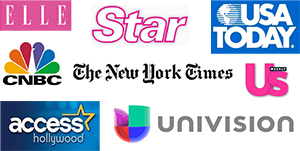 Telemundo’s flagship national news magazine Sin Fronteras interviews our medical director on mesotherapy and liposuction — and then takes one of our lipo patients shopping on Rodeo Drive for clothes to fit her new body.